Investors welcomed the UK bank’s lower bad debts, plus asset sales coming faster than expected and at higher prices. The progress brings capital targets closer, lessens pressure on RBS to get a high price for its U.S. arm, and makes forthcoming litigation costs more bearable. People stand near a branch of Royal Bank of Scotland (RBS) in London November 1, 2013. 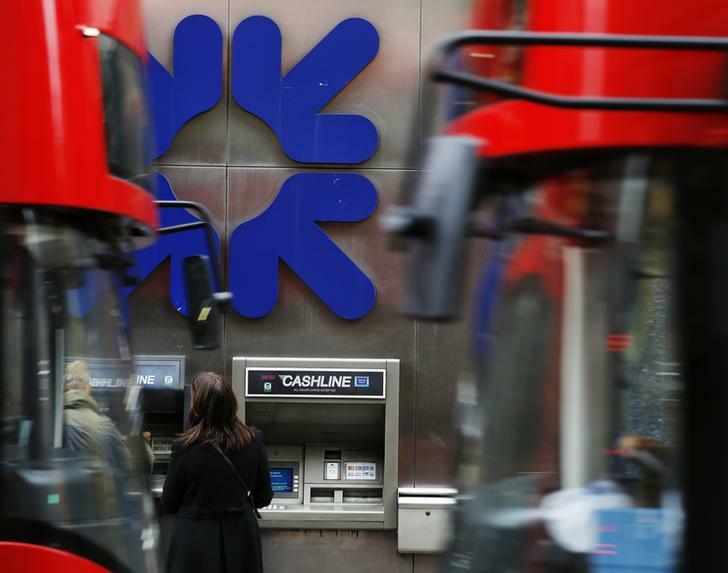 Shares in Royal Bank of Scotland rose almost 15 percent on July 25, after the UK bank released second-quarter earnings a week earlier than scheduled, which beat analysts’ expectations. The bank made a pretax profit of 1 billion pounds ($1.7 billion) for the three months to the end of June, as lower impairments enabled it to release provisions held in anticipation of loans souring. RBS said it was obliged to publish the results early because they were so different from analysts’ expectations of a small loss. However, RBS Chief Executive Ross McEwan warned that litigation could eat into profit in future quarters. “No one should get ahead of themselves here – there are bumps in the road ahead of us,” he said. RBS had lower costs over the quarter than it had previously suggested in its “bad bank”, RBS Capital Resolution (RCR). It said that it now expects RCR to cost the group between 2.5 billion to 3 billion pounds between 2014 and 2016, rather than an initial forecast of 4 billion to 4.5 billion pounds. Balance-sheet strength improved thanks to retained earnings and a 22 billion pound reduction in risk-weighted assets. RBS’ Basel III common equity tier 1 ratio stood at 10.1 percent at the end of June, up from 9.4 percent at end of March. By 1130 BST, RBS shares stood 14 percent higher at 375 pence.